1.1. The title of the guild shall be ‘Farnborough Craft Guild’. 3.1. There shall be two categories of membership: craft membership and associate membership. 3.2.1. Members shall be elected from applicants on the basis of excellence in their particular craft(s). 3.2.3. Membership is on condition that all goods produced and sold are the craft person’s own work and of a high standard. 3.3.1. Once a person becomes entitled to full membership other members of their family automatically become entitled to associate membership without an additional fee being payable. 3.3.2. This category is open to any person interested in crafts but not practicing craftwork, who wishes to support the Guild and its aims. Associate members shall be entitled to assist at craft fairs and participate at other functions of the Guild. They possess the same voting rights as Craft Members except in judging the suitability of an application for Craft Membership. 3.3.3. Joint Membership3.3.4. The committee shall have the discretion to allow a ‘couple’ to constitute a single membership where they clearly work together on a craft(s). 4.1. The affairs of the Guild shall be managed by a committee, consisting of four key posts; they beingChairperson, Vice Chairperson, Secretary, Treasurer and Assistant Treasurer. A Membership Secretary and normally five other persons make up the remainder of the committee. The management committee shall be elected from members of the Guild. 4.2. The term of office for Chairperson, Vice Chairperson andSecretary will be restricted to a maximum of three consecutive years. The term of office for the Treasurer and Assistant Treasurer will be restricted to a maximum of five consecutive years.A member who has already served in any one of the four management roles mentioned in paragraph 4.1 may stand again after a period of at least 12 months has elapsed since their term of office ended. They can however, stand for election for a different position if they agree to be nominated. 4.3. The committee may co-opt other members as necessary to assist in specific tasks and events. 4.4. In exceptional circumstances with the agreement of the majority of the members at an Annual GeneralMeeting (AGM), there is a process whereby, a member of the guild can be elected a lifelong exhibiting honorary member. 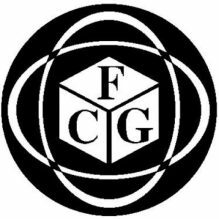 Those elected will be exempt the annual subscription fee, but will be required to pay for table costs at all future FCG shows. 5.1. Membership is granted and then renewed annually on payment of a subscription fee to be determined by members at the AGM. 5.3. Members joining between the AGMin September and the end of December pay the full annual subscription. When joining between the beginning of January and the end of June half the annual subscription is required. Members joining in July or August shall pay a full year’s subscription but this covers June and July of the current year and the whole of the following Guild year until the AGM.in September. 5.4. Non-payment of the subscription fee by 30 September shall be regarded as withdrawal of membership except in extreme circumstances and at the managing committee’s discretion. 5.5. The funds of the Guild shall be administered by the Committee solely for the benefit of the Guild and its Members, in accordance with the aims in section 2. 5.6. The Treasurer shall produce at each meeting of the committee, for inspection as required, all documents and receipts relating to the business of the Guild. 5.7. The Treasurer shall surrender all books, other documents, moneys and property of the Guild if required to do so by the committee. 5.8. The Treasurer shall be responsible for preparing a Statement of Accounts to be independently audited before submission to the AGM. Auditors shall not be members of the Committee but may be drawn from the wider membership of the Guild. 5.9. There shall be four approved signatories for cheques. Two signatures are required on all cheques. The signatories to be Chairperson, Vice Chairperson, Treasurer and Secretary. 6.1. Subject to the wishes of Members a monthly meeting shall be held to discuss any business referred to it by the committee and to pursue the craft interests of Members. 6.2. Once a year, in September, the meeting shall be conducted as the Annual General Meeting (AGM). 6.3. An Extraordinary General Meeting shall be held if a submission is made in writing to the Committee bearing the signatures of six Members. Alternatively, the Committee may itself call an EGM if there are reasons warranting it. In both instances the committee must notify the whole membership in writing of the meeting. 7.1. Application for membership, shall be judged by all craft members at the first available ‘New Members night’ following the date of application. The applicant shall not be present while the decision is made, but will be advised of the decision, with advice and guidance if the application should be rejected. 7.2. The Guild reserves the right to refuse admittance to any applicant who does not meet its requirements. 7.3. The Guild will take to task any member whose standards drop. That Member shall be expelled by theGuild on the vote of its Members. 7.4. Each member must attend one evening meeting and one Guild show per year. If a Member is felt not to show loyalty to the Guild, that Member shall be refused renewal of their membership. 7.5. Members booking into Guild organized shows will be expected to attend throughout the period of the show, leaving only when it closes. 7.6. At Guild events Crafts Members are expected to demonstrate their craft when required and to abide by the conventional high standards in selling to the public. Each Member should ensure that any electrical equipment used for demonstration or lighting has an up-to-date certificate and be prepared to show this on demand. A neat table covering must reach the floor on at least three sides (preferably four) Members should avoid aggressive selling techniques of any kind, prices should be displayed clearly and the craftsperson’s name and telephone number or address should appear on display on their stand. 7.7. Members taking up a craft not displayed on their application night must submit examples for judgment, as in 3.2.2. Once they are passed by the membership the craftsperson can offer such items for sale at a Guild organized event. Any items not ratified by the Guild will not be covered by theGuild’s insurance. 7.8. Irrespective of the insurance cover being taken out for Guild members for public/product liability and for the committee members for public liability, it shall remain each member’s responsibility to ensure that he or she has sufficient insurance cover for loss, damage or theft of their property. 7.9. In the event of any person making or exhibiting any copyright craft work during any show organized by the Guild or elsewhere, the exhibitor will indemnify the Guild, its committee, officers and servants from and against any liability in respect of the infringement of copyright, and will repay on demand the amount of any damages or costs which they may incur or be held liable to pay. 7.10. The CONSTITUTOIN of the Guild may only be amended or changed by 2/3 vote of the quorum of the membership. This quorum shall be 50% of the membership or 16, whichever is the greater present at an AGM or EGM.7.11. MEMBERS Rules (good practice rules) should be adhered to. These can be subject to change after discussion at evening meetings. The members to be informed of proposed changes in the monthly update, followed by a vote similar to the above (7.10), and the rules to be re-issued if necessary. a. Jan Strode was elected as a ‘Lifetime Honorary Exhibiting Member’ at the 17 September 2014 AGM in accordance with paragraph 4.4. Jan was judged to have given exceptional service to the guild having served as its chair for some 30 years. b.Constitution amended 16 September 2018 to create a position of Assistant Treasurer and also to extend the time limit of the position of Treasury and Assistant Treasury to a 5 year term.